The City Law School’s Dr John Stanton says the 2016 Queen’s Speech delivered on 18th May points to local councils and communities benefiting from a raft of new government proposals. The 2016 Queen’s Speech was an interesting one, introducing proposals relating to broadband coverage and driverless cars, and reigniting debates about devolution and a potential Bill of Rights as a replacement for the Human Rights Act 1998. While the government’s drive for localism did not feature as prominently as last year (with the announcement then of the Cities and Local Government Devolution Act; enacted in March), there is much in the Speech to impact upon local government’s relationship with the centre, with the Queen announcing ongoing support for the Northern Powerhouse policy and the continued devolution of authority. First, the proposed Local Growth and Jobs Bill. There is little novel or of note about this, the Bill potentially setting out the legal framework and provision for councils’ retention of local business rates, as announced by George Osborne in October 2015. In the government’s own words, such a move would ‘[g]row the economy’ and give councils ‘more freedom to invest in local communities’. Second, the Neighbourhood Planning and Infrastructure Bill proposes limiting the necessity of pre-commencement planning conditions, meaning that neighbourhood plans could be realised with greater haste, and it would ‘further strengthen neighbourhood planning’ by giving ‘even more power to local people’. Finally, the Bus Services Bill sees the potential devolution of power over local bus services. Local councils and communities, therefore, look set to benefit from the government’s latest raft of proposals, with an increase in power and financial autonomy seemingly heading councils’ way, potentially placating the many calls and demands that shortages of both resources have inspired in recent years. These reforms, however, while on the face of it, indicative of incremental and ‘real’ devolution, must be seen in a wider context and in light of further proposals and announcements. The announcement that councils will be allowed to keep 100% of the proceeds of local business rates must seem bittersweet for some local authorities when we keep in mind that March’s 2016 budget announced cuts to local business rates. Osborne himself announced that ‘[t]he new threshold for small business rate relief will raise from £6,000 to a maximum threshold of £15,000 … [whilst] the threshold for the higher rate [will be raised] from £18,000 to £51,000’. Good for local businesses, perhaps, but the cuts to business rates mean that councils will not reap the full benefit of this proposed devolution, instead facing the imposition of yet more cuts from Whitehall. The centre is seemingly and simultaneously giving with one hand whilst taking away with the other. The increased devolution of power proposed through the Neighbourhood Planning and Infrastructure Bill is welcome. Reforms introduced by the Localism Act 2011 have been well received and widely utilised; anything that further streamlines and increases the transparency of that process must be seen as a good thing. It must also, however, be seen in light of the Housing and Planning Act, passed just last week. Plagued as that is by its own issues concerning a potential reduction in council housing, the Act also increased the role of the Secretary of State in the neighbourhood planning process, meaning that the centre still retain a degree of control and supervision over what is ostensibly sold as an increasingly local power. And finally, the proposed devolution of power over local bus services is intended to create a London-style system where the newly elected Mayor, Sadiq Khan, oversees Transport for London and its provision of – inter alia – bus services across the capital. Increasing councils’ powers over the provision of local services is nothing if not a good thing. Such devolution, however, comes with one condition: the adoption of the government’s proposals for directly elected mayors overseeing combined authorities, with powers over local bus services only being decentralised to such models of governance. Indeed, let us bring back in the reforms to business rates where a similar proviso applies – authority to increase the rates will likewise only be granted where one of these ‘metro mayors’ is in power. 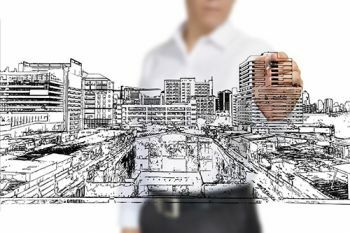 It is not for this commentary to weigh up the pros and cons of this new local governmental arrangement, introduced through the Northern Powerhouse policy and given legal weight through the Cities and Local Government Devolution Act 2016. But when we recall, however, that the government has long pushed for such local rearrangement, whilst a significant number of referenda have rejected the model, it starts to look as if Whitehall is seeking to impose its desired model of local government from the centre, using the exclusive devolution of certain powers as a bargaining tool. 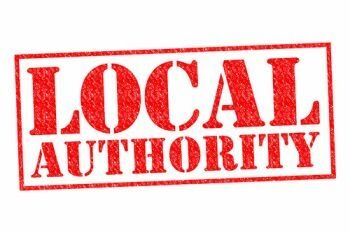 Top-down supervision and organisation of local government has long been a concern and is widely discussed, and whilst this government – with its increasing number of devolution deals – purports to be changing this approach, there are aspects of recent and forthcoming reforms that see a continuation of these concerns. The centre seeking to supervise and control local powers and financial capabilities, sometimes going so far as to strip councils of certain powers altogether – see, for instance, the recent storm over mass-academisation and the proposed Education for All Bill that could see increasing numbers of local schools taken from council control. Some of the proposed Bills are to be welcomed; not least for the attempts that they make at ‘real’ devolution. But, equally, some of Whitehall’s centralist habits seem to remain, potentially stifling the full realisation of local power and hindering councils as they try to govern the communities of Britain. The Northern Powerhouse is a proposal to boost economic growth in the North of England by the 2010-15 coalition government and 2015-20 Conservative government in the United Kingdom, particularly in the "Core Cities" of Manchester, Liverpool, Leeds, Sheffield and Newcastle. The proposal is based on urban agglomeration and aims to reposition the UK economy away from London and the South East. The proposal involves improvement to transport links, investment in science and innovation, and devolution of powers in City Deals.